The exhaust is now complete. so whats new with this project ? I know he has been out on the lake once and maybe the peace at Dunvegan. I think he had it up to 80 mph maybe but thats all I know. I will be on the Peace at Dunvegan for another test this Sat.All the covers are in place and the last test was at 80 mph. 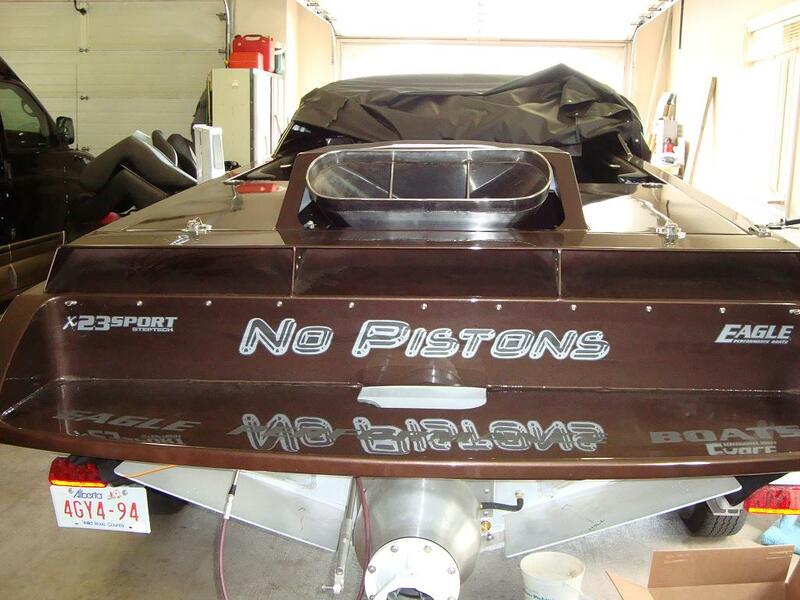 The engine runs well, boat handle good and is fun to drive.I will also post some video soon. Thinking you'll see 100 eventually?